Miss Harmon. Source: LAC Topley Series A, May 1868 (MIKAN 3470100). In more recent years, Ottawa’s local historians have become more interested in Miss Harmon’s School for Girls. Most materials pertaining to the operation of the school are centred on its final location at the corner of Elgin and MacLaren. By far the best of these I know of is found on URBSite. The details surrounding the closing of the school tend to be unarticulated for the most part. Additionally, the nature of Miss Harmon’s death, being a suicide, is not generally discussed. Operating a business – any business – is quite a challenging undertaking. With new competitors emerging with varying regularity, client tastes and demands always changing, and a whole host of other issues that may – at any given time – prove challenging to the regular needed cash flow of your operation, it isn’t easy. 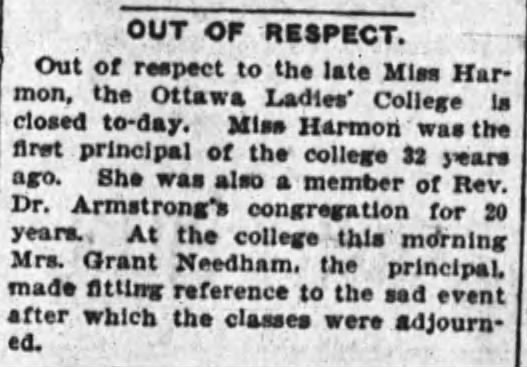 Miss Harmon appeared to be poised to handle any and all comers to the field of women’s education in Ottawa. 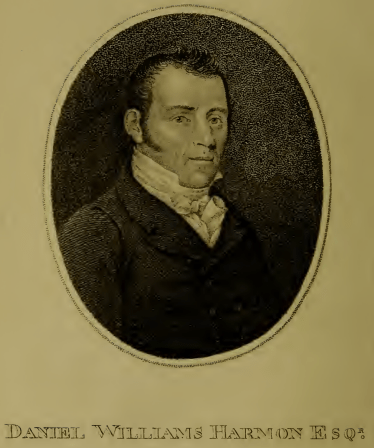 Abby’s father, Daniel, as pictured in an edition of his published journals. Source: D.W. Harmon, A Journal of Voyages and Travels in the Interior of North America” New York: A.S. Barnes & Co., 1903. Miss Abby Maria Harmon, the youngest daughter of Daniel Williams Harmon and Elizabeth [Lizette] Laval [Duval], was born in Vermont around 1838. By the time Abby was born, her father Daniel had been long retired from the fur trade (Northwest Company) and had indeed already published his journals. According to the Dictionary of Canadian Biography, he never did achieve much in the way of success after he left the trade and returned to his home state. He died five years following her birth, in 1843. 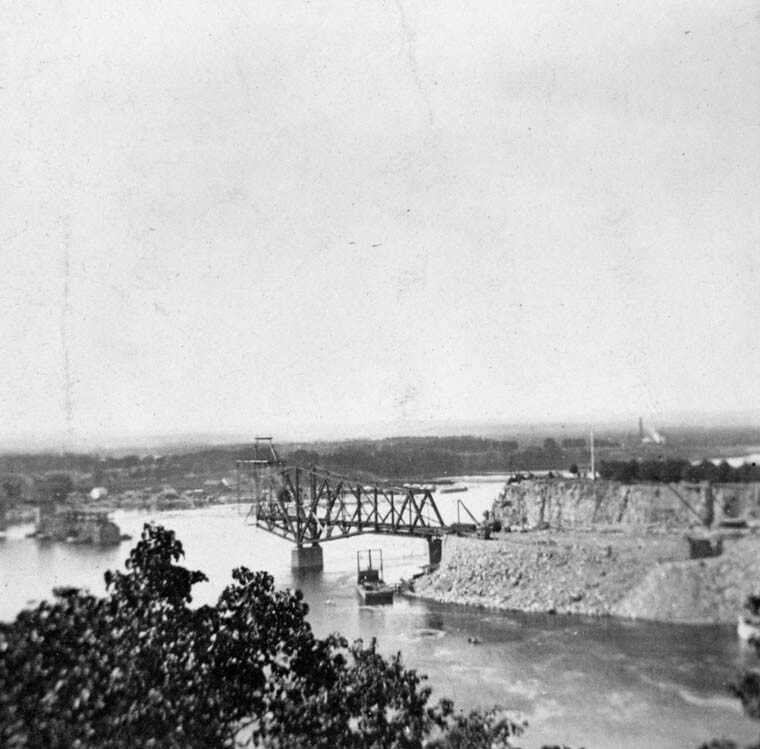 At some point between her father’s death and 1861, Abby relocated to Montreal. Perhaps due to some connections her father had with (former) Northwest Company colleagues, she appears to have taken up a position teaching at a ladies’ boarding school in the Golden Square Mile at 31 Beaver Hall. That arrangement did not last long, however. Abby Harmon soon relocated to the recently-selected capital of the United Canadas. In 1862, she established the Harmon Ladies’ School with the help of Agnes Lloyd, who subsequently married Pembroke hardware dealer W.A. Hunter. The 1871 Census lists Abby Harmon as a resident of Victoria Ward and working as a Preceptress. Between 1875 and 1892, her school was located at 49 Daly, home to The Union Mission for Men since 1912. 1871 Census entry for Miss Harmon, Preceptress. Source: LAC Census Collection. Regardless of its location, Miss Harmon’s school in Ottawa was a resounding success. Aside from remaining in business continually, she did seem to attract a lot of notable clientele, including Hugh John Macdonald’s daughter, John A. Macdonald’s granddaughter. At the end of each school year, the Journal and Citizen would report the successes of the pupils. Unsurprisingly, the young women present on those lists had a number of notable family names – Lyon, Lewis, McKay, and Wright, to name a few examples. Miss Harmon was also somewhat involved in local politics that concerned her business. In December of 1891 she petitioned the city for tax exempt status. The reason being is that she saw the private religious schools as competition that had the advantage of not paying taxes. 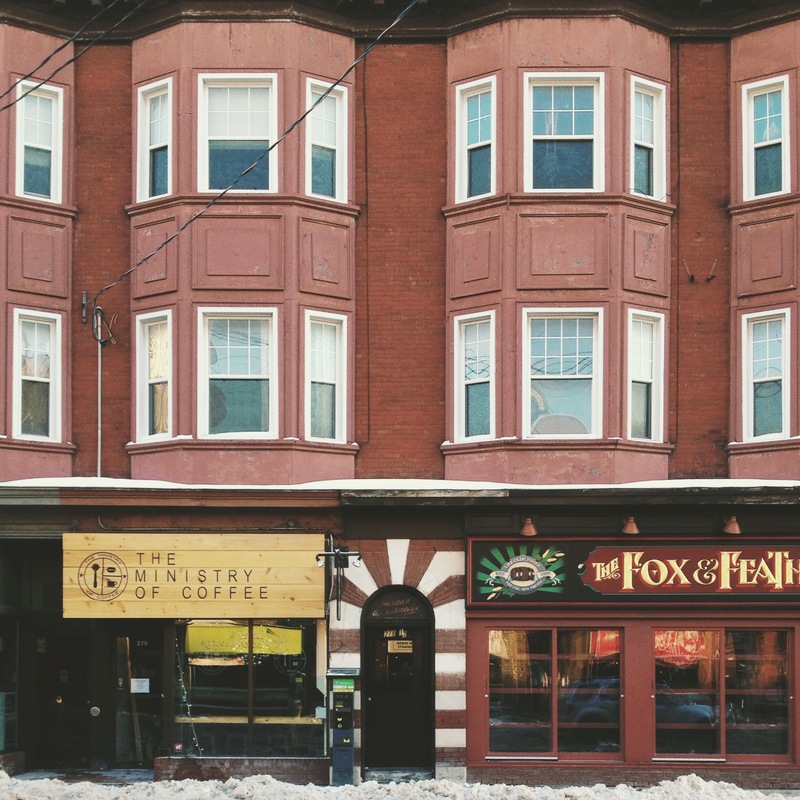 The Journal noted that the owner of a ladies’ school in Montreal was not only successful in winning the exemption, but that she also secured the costs. It appears, however, that her own petition fell on deaf ears and she restructured and incorporated her business, moving it to the corner of Elgin and MacLaren the following year (beginning that year, her advertisements claimed that the school was “Incorporated in 1892”). 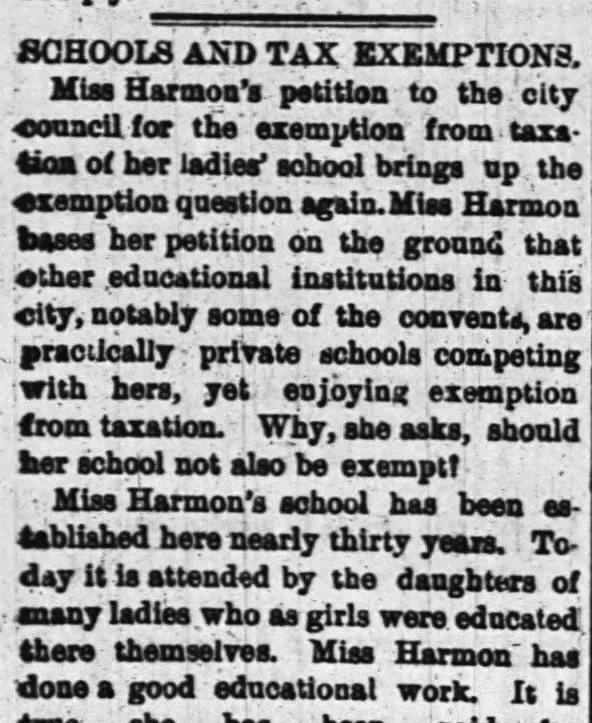 In 1891, Miss Harmon petitioned City Hall to grant her school an exemption from taxes. Note that the Journal pointed out that she had been in operation for nearly 30 years. This suggests that she departed for Ottawa quickly after her time in Montreal. Source: Ottawa Journal, December 9, 1891. Finally, Miss Harmon was also exceptionally active in the community, holding a number of positions with a large number of charities attached to the Presbyterian Church in Ottawa. The trouble, it seems, was in Miss Harmon’s personal life. For his own part, Dr. MacCarthy was reported in the Journal article as having recommended to Miss Harmon that she stop taking on boarders as she was getting older and was quite tired. Although she was convinced to stop teaching a few years earlier on that basis, she missed it and returned to the classroom. While her financial position was generally stable, she did not see it that way and apparently felt that not accepting boarders would lead to her financial ruin. The Journal established a narrative whereby nobody noticed anything different about her behaviour with the exception that she had dressed herself alone that day. Something that she had apparently been unable to do in three years. Outside of that abnormality, she seemed exactly as she always was. The reporting on Miss Harmon’s suicide was extensive. Source: Ottawa Journal, September 20, 1904. At least in Ottawa’s educational circles, Miss Harmon cast a long shadow. 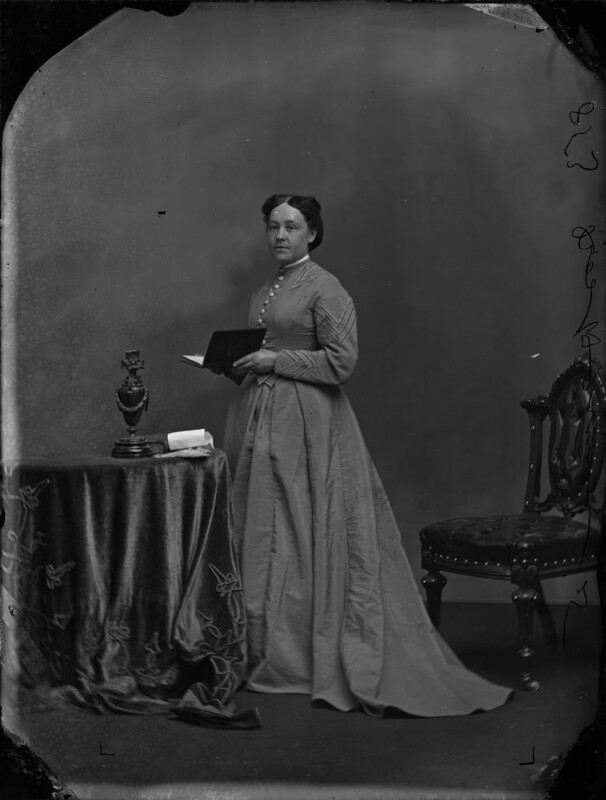 Once news of her suicide had spread, the Ottawa Ladies’ College closed for the day as an official act of mourning. Ottawa Ladies’ College closed for the day. Admittedly, I am uncertain about the relationship between her own school and the Ottawa Ladies’ College. Source: Ottawa Journal, September 21, 1904. A teacher who has been the successful educator of two and even three generations of pupils, and to whom the passing years have brought and ever increasing measure of public esteem and confidence cannot fail to occupy a unique position in any community. Such was the case with the late Miss M. A. [sic] Harmon is Ottawa, whose tragic death in a moment of mental derangement was reported in our news columns a few days ago. The pupils of Miss Harmon are to be found to-day in every part of the Dominion, many occupying social positions of prominence; and wherever her name is mentioned the thought will arise of the kindly, painstaking and judicious teacher and the sincere and sympathetic friend. Miss Harmon’s school had become almost an historic institution of the Capital of the Dominion, antedating as it did the removal of the seat of government to that city; and, under the influence, grew up to womanhood the daughters of hundreds of the leading citizens of the place. The children of former pupils replaced their mothers in the course of years, and in a few cases the grandchildren sought their education under the same wise and genial auspices. Miss Harmon was a firm believer in a thorough English education. Her aim was to develop at once the intelligence and the character, rather than to impart a show of knowledge and transitory accomplishments. Everything in her system of education was solid as far as she could possibly make it so. Her own character was compacted of firmness and kindliness; and the public had learnt to place unlimited reliance on her judgement in all that related to the welfare of her scholars. In the inexpressibly sad death of this estimable lady there is a lesson for the strong not to overtax their strength; for in the human constitution, as in everything else, there is a breaking point. To approach that point is dangerous; to touch it means collapse, perhaps absolute and fatal. However that may be, to have been, through a long life, patient in purpose, steadfast in aim, patient in well-doing and indefatigable in the performance of duty; above all to have been a source of strength and moral upbuilding to others; is to leave a record which no clouds gathering round the last stage can ever obscure. It does appear that, in general, most accepted that her psychiatric issues were precipitated by her penchant for overwork. Miss Harmon’s will was probated a few weeks later and was valued at approximately $20,000. The will, which was dated July 20, 1904 (eight weeks previous to her suicide), made a large number of bequests to a variety of individuals and charities. Some of these charities included the Widow and Orphans’ fund of the Presbyterian Church, St. Luke’s Hospital, the Protestant Orphans’ Home, the YWCA, and the Home for Friendless Women. Harmon’s final will and testament spread her assets around to a number of charities. Source: Ottawa Journal, October 19, 1904. The legacy left by Abby Harmon would be much larger than the number of cash bequests she left in her will, however. In the spring of 1905, a number of prominent Ottawans – including but not limited to J.W. Woods and George Perley – met to develop a new ladies’ college as “the work done by Miss Harmon should be continued and not allowed to die out”. Miss Harmon’s work was immeasurably valued in the city and leading citizens sought to continue it. Source: Ottawa Journal, May 20, 1905. Although misspelled, Miss Harmon’s name also lives on in the name of an apartment building that was later constructed on the site of what was the playground for her school. The “Harman Apartments” serve as a tribute to the late Miss Harmon. Source: Christopher Ryan, December 2013. Since the death of her younger sister, Miss Annie, last July, Miss MacLeod has been in a feeble state of health, although she continued at her work of teaching up to Wednesday afternoon. Yesterday pluresy developed, and she was unable to rally. At a later date, I will continue the tale of how influential citizens of Ottawa were able to continue Miss Harmon’s work in the city. In a subsequent piece, I will continue to track the physical development of the building that once housed the school. Hello, Have you seen or made any connections to Miss Harmon being Métis – her mother coming from Batoche in Saskatchewan?